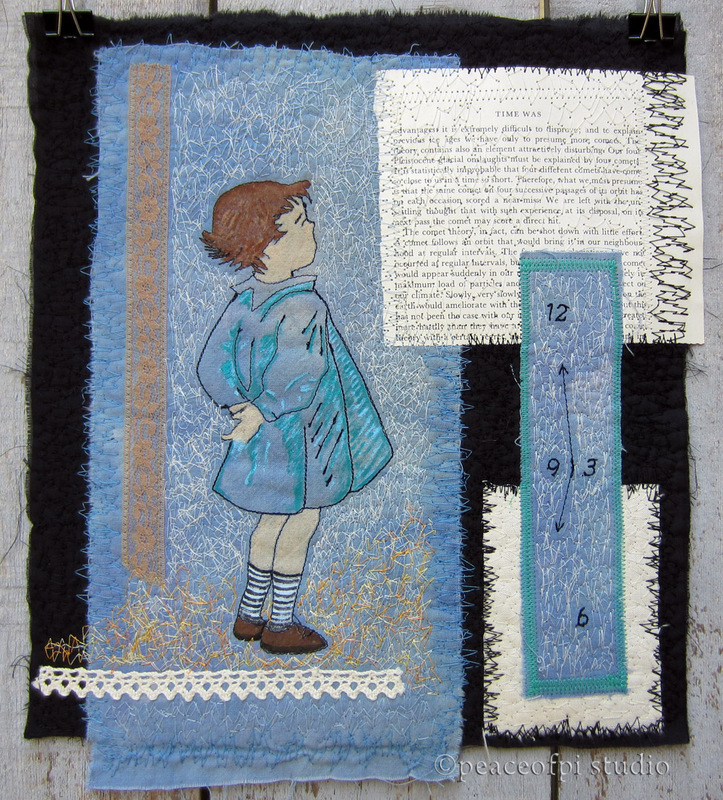 This art quilt features a girl stitched in free-motion embroidery, with the sewing machine as the drawing tool. The creation of the art quilt began with the girl illustration, free-motion stitched onto fabric. Then fabrics and text were added to the central image, collage style. A clock face was added to one piece, and the entire collage was stitched with free-motion embroidery, adding color and texture. The young girl, seen in side view, is gazing upward to represent the unlimited potential of children. Curious and open, she is questioning, absorbing and learning.